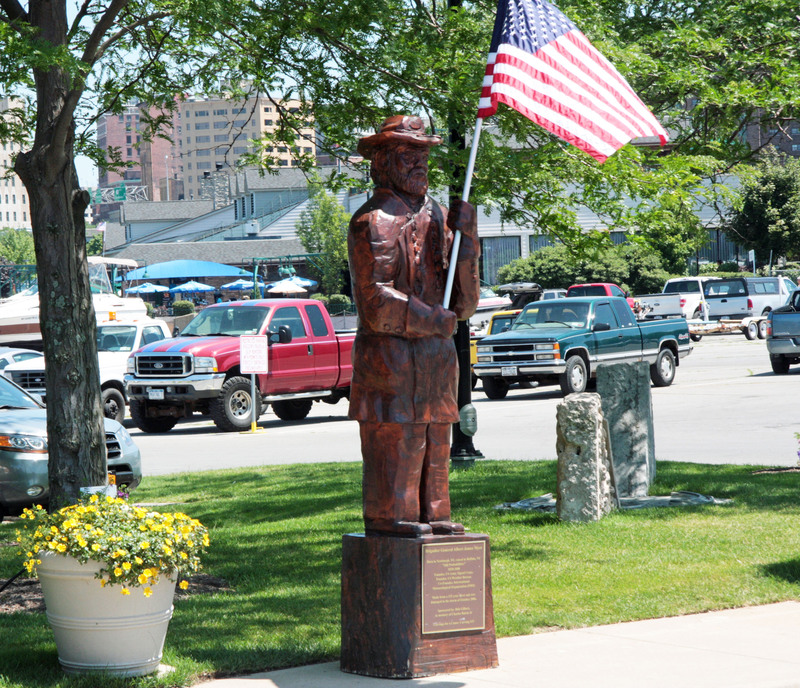 While I was in Buffalo, New York I had a chance to spend some time at the Erie Basin Marina and Garden and came upon some beautiful wooden sculptures, this one is of Brigadier General Albert James Myer. I read that it is part of the ” Carvings for a Cause project”. Albert James Myer (September 20, 1828 – August 24, 1880) was a surgeon and United States Army officer. He is known as the father of the U.S. Army Signal Corps, as its first chief signal officer just prior to the American Civil War, the inventor of wig-wag signaling (or aerial telegraphy), and also as the father of the U.S. Weather Bureau.